Can’t make it to E3 2016? Doesn’t matter. We’re giving YOU a front row, VIP seat for our Mafia III E3 gameplay demo. We’re about to take you down to the Bayou-and-back for the next 20+ minutes. Get an in-depth overview of the game, meet more of the key characters, learn about some of the different districts of New Bordeaux and watch as we navigate the open world for the best way to take out the Marcano crime family. And what trip down to New Bordeaux is complete without a rampage on a riverboat? 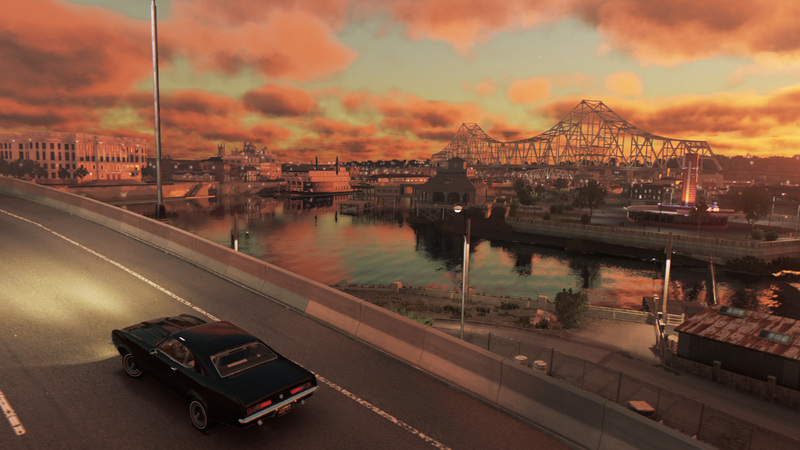 All these months, we’ve heard you asking for more Mafia III gameplay footage. © 2016 TAKE-TWO INTERACTIVE SOFTWARE ET SES FILIALES. DÉVELOPPÉ PAR HANGAR 13. 2K, HANGAR 13, 2K CZECH, LEURS LOGOS RESPECTIFS ET TAKE-TWO INTERACTIVE SOFTWARE SONT DES MARQUES COMMERCIALES ET/OU DES MARQUES DÉPOSÉES DE TAKE-TWO INTERACTIVE SOFTWARE. LE LOGO DE LA MARQUE "PS" EST UNE MARQUE DÉPOSÉE ET "PS4" EST UNE MARQUE COMMERCIALE DE SONY INTERACTIVE ENTERTAINMENT INC. L'ICÔNE DE CLASSEMENT ESRB EST UNE MARQUE DÉPOSÉE DE L'ENTERTAINMENT SOFTWARE ASSOCIATION. TOUS DROITS RÉSERVÉS.